The harp is indeed a symbol of our Welsh musical heritage. The harp is a beautiful elegant instrument which children and adults indeed share a passion for its unique tonal traits. Often children are given an opportunity to pursue their harp interests and participate in harp tuition offered at Primary and Secondary Schools. Some may have private tuition. Supportive parents are burdened with the financing of other instrumental and perhaps singing lessons also if they demonstrate a natural affinity to music and generally talented. Many children might have access to the school harp and practise during school breaks. Some schools indeed might not have a harp. This limits a child’s access to the very instrument they enthusiastically play and often supportive parents or a tutor recognise the child’s needs and addresses the situation by suggesting to rent or purchasing a harp. We in turn can ensure we will assist in finding the very harp you need. We are happy to encourage individuals to strengthen their skills without the financial burden of purchasing a harp. We have put in place an option to rent a harp easing families or individuals of the financial burden of purchasing a harp. It is recognised that purchasing a pedal or folk lever harp is indeed a hefty investment. 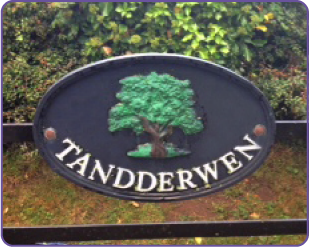 Often parents are advised to rent prior purchasing to assess you child’s development or indeed recognise your own! It is worthwhile to ensure your child is worthy of such an undertaking. This is why you are no doubt seeking a harp to rent. Parents and individuals recognise that having easy access within the comforts of their homes generates industrious productivity and a harp student’s work will develop tenfold. Providing a child or yourself with a harp is a worthwhile character building experience regardless of age and ability. General musicianship and technical abilities improve. 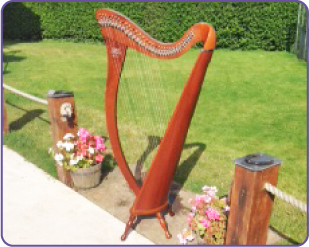 Before setting up the business we carried out several very detailed worthy enquiries with recognised harp tutors and asked what their students’ needs were as we wanted to invest in a robust, lightweight, and easily maintainable harp without forgetting its tone was high on our priority list. We are very happy with our Camac range and take huge pride in offering 34 string lever harps that are renowned for their revolutionary durable carbon fibre strings. Uniquely these manmade strings very rarely need changing unlike the conventional gut strings which periodically break. Not only was string durability important but equally attaining an elegant tone and resonance of sound which was our main priority. The durability ensures you or your tutor avoids having to change strings often and avoid the costs of financing purchasing new strings. We also ensured the lever mechanism was of a high calibre, innovative clearly colour coded, giving defined semi tone action. These are comfortable to use and easily adjusted. 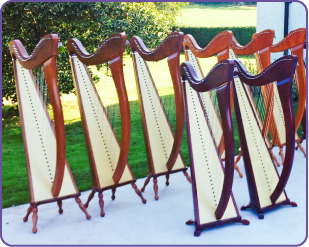 We will rent harps out to any location and delivery and collection charges can be arranged. We do however encourage individuals to collect their harps and cease on an opportunity to a free instruction care package to assist you with using and maintaining your perspective rented harp. We also acknowledge and understand the difficulty some beginners might face whilst tuning a harp. We give parents and children alike without forgetting any adult beginner’s easy guidance to tune the harp. This is a valuable exercise and we share our top tips with you! We ensure you clearly understand how to go about this task and provide you with a fool proof method. 34 string Lever Folk Harps available to rent with insurance included within the rental fee. Free easy to follow introductory care and set up session included to ensure pupil and parents are guided through tuning and etiquette of the general day to day maintenance of the lever harp. We pride ourselves in guiding individuals through this easy process ensuring the harp is accessible to all households. We welcome short or long term rental service as we acknowledge individual needs differ. Harps - the most traditional Welsh instrument within our inherited Welsh heritage. The harp is one of the most beautiful instruments a wonderful sound and pleasing to the eye. Regardless whether you play traditional folk melodies, classical music, and modern jazz and pop the harp will allow you to express yourself giving you endless pleasure regardless of age or abilities.